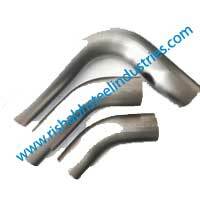 Rishabh Steel Industries has dedicatedly catered to various industries for three decades with its outstanding products and services. 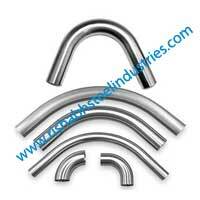 We use premium resources and state-of-the-art technology to manufacture products of international standards. 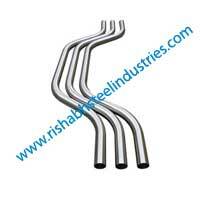 We are ISO certified and take utmost care of the quality of our products. 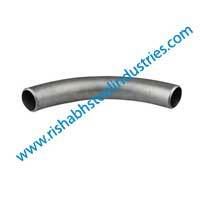 We are manufacturers, suppliers and exporters of Titanium Pipe Bend in a variety of types, grades, dimensions and pressure retaining capacities, to several critical industries. 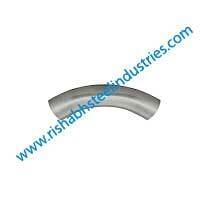 Our UNS R50250 Titanium Pipe Bends are made from hot induction process, a cost-effective process that produces durable and high quality bends, ready to work in challenging industries like automobile and aircraft manufacturing. 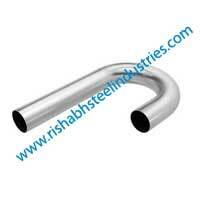 Our WNR 3.7035 Titanium 5D Pipe Bends are manufactured with a larger radius that is capable of countering turbulence problem at curves, thereby permitting a full fluid flow and have a high impact toughness as well, a trait much needed in the marine and chemical industry. 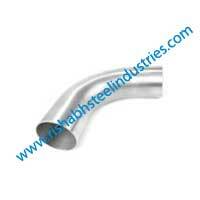 What is Titanium ASTM B363 Pipe Bends ? 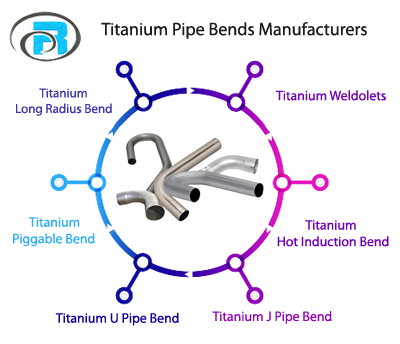 What is a Titanium Pipe Bends ? 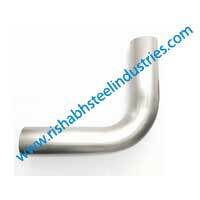 ASTM B363 Titanium Pipe Bends suitable for Chemical Refinery. 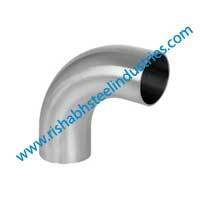 Titanium Grade 2 Buttweld Bend uses in Plumbing. 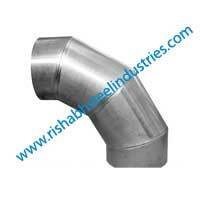 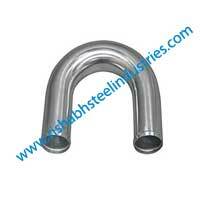 Titanium Grade 5 Pipe Bends can be used in high temperature. 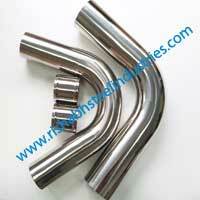 Are you Looking for Titanium Pipe Bends Manufacturer? 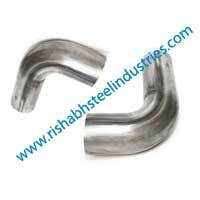 End of Titanium Pipe Bends protected by plastic Strip.